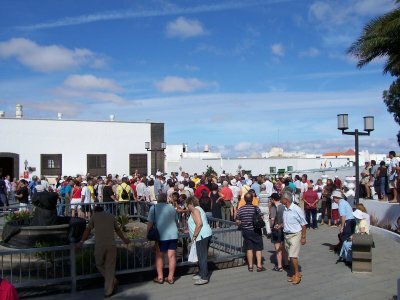 Teguise market is the place to go on a Sunday morning on Lanzarote. So much so, that it is important to go early if you don’t want a long walk from one of the many car parks, set up in fields around the town. The market sells almost everything in terms of souvenirs and crafts that you could wish for. Most of the souvenirs that you see elsewhere on the island can be found somewhere on the market, usually slightly cheaper than normal. Crafts such as woodwork or lace are of good quality – and the prices usually reflect this quality. Clothes stalls sell a variety of cheap T-Shirts as well as hand-made goods. Locally-made clothes often have a label in showing that they come from the Canary Islands, so they are easy to spot, although it is useful to be able to speak Spanish if you have any special questions that you want to ask the stall holders. 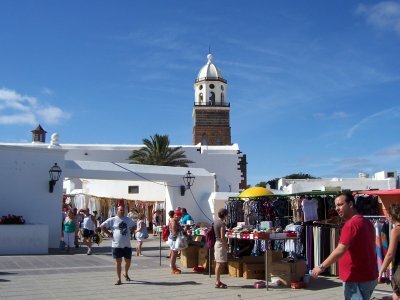 In fact, although they are used to tourists and speak some English, it is not as much as in the shops on the coastal resorts so if you do speak to them in Spanish, they really open up and give you a lot more details about their wares. The market takes place on the square in front of, and the streets surrounding, the church. Somewhere there is bound to be a band playing music, often on pan-pipes or other South American instruments. One word of warning is necessary, though. The market has a reputation for pick-pockets. It can become so crowded, that you may not notice someone brush past you and take your wallet, so this really is a place to go where you only take essentials and keep what you do take such that you know at all times, that it is still there. Finally, do remember that amongst all the beautiful wood carvings and lava stones, that whatever you buy you probably have to take back in your suitcase – and there is a limit to how many kilogrammes that can have ! This article from Radio Megawelle reminded me of something that I forgot to mention in my Iberia article. Of course, a direct flight is quicker and you spend less time in the aeroplane as a result. But the first time I flew out I had another reason for going via Madrid – I was just plain curious to see somewhere in Spain that was new to me – even if it was the airport! How do you fly to Lanzarote? 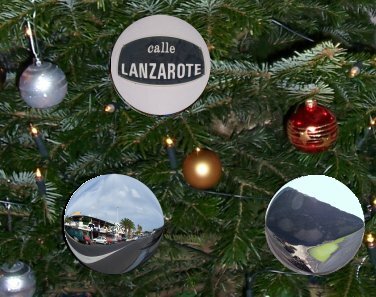 You are currently browsing the Calle Lanzarote blog archives for the year 2007.